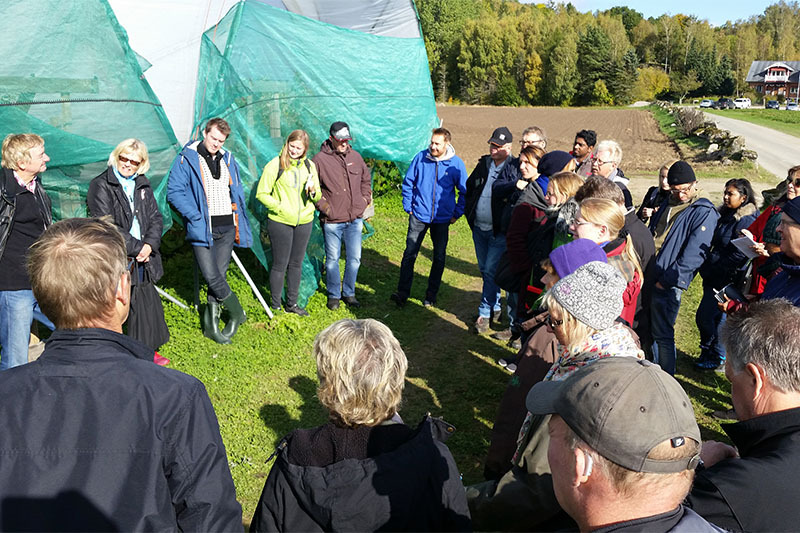 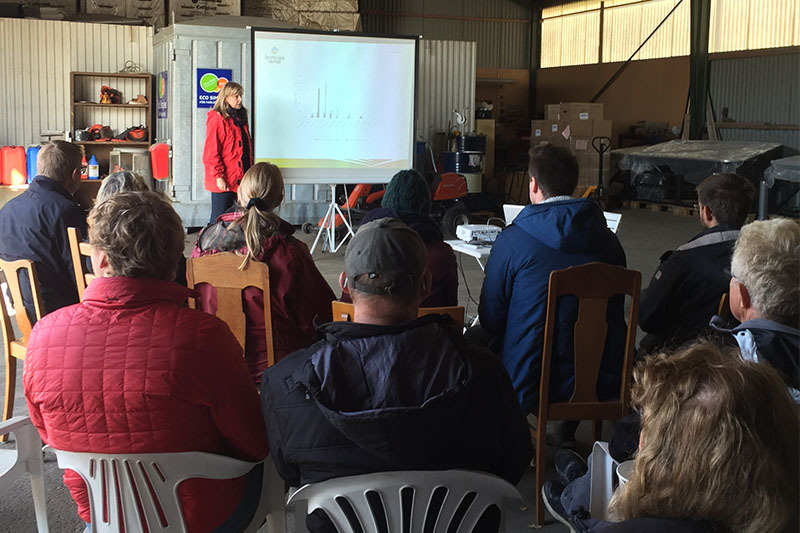 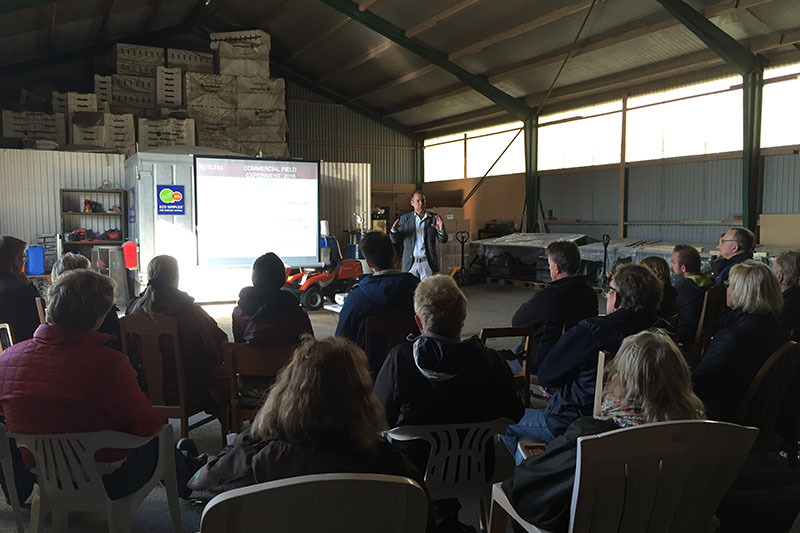 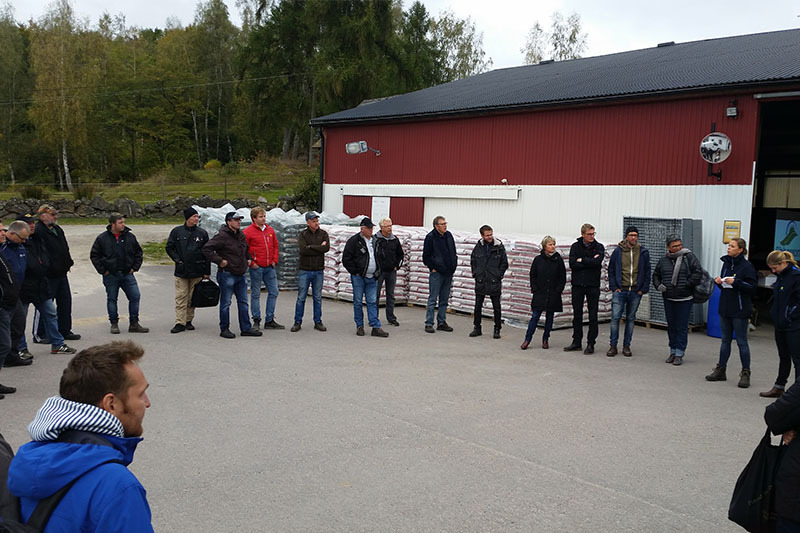 On 6 October 2016, growers, advisors, researchers and experts came together at the beautiful Bröderna Sibbesson farm for a Field Day organized by Hushållningssällskapet. 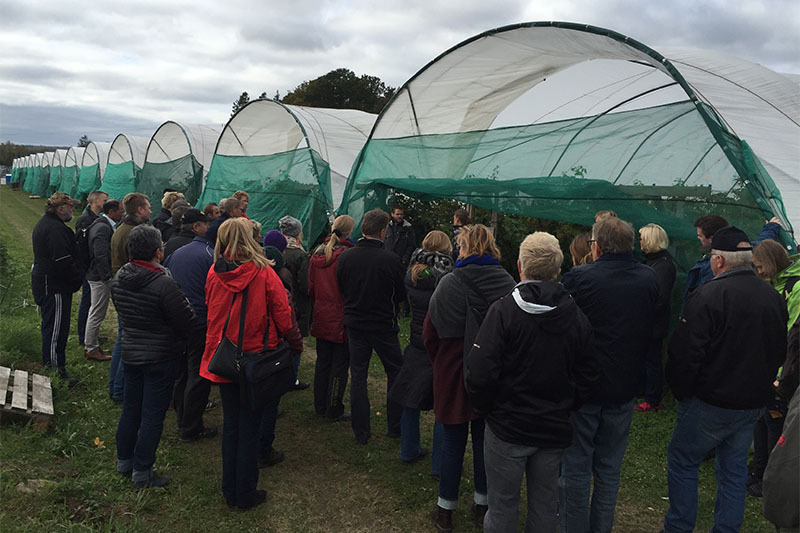 The main topic of discussion was the invasive pest Drosophila suzukii, which is a new pest of berries and stone fruit in Sweden. 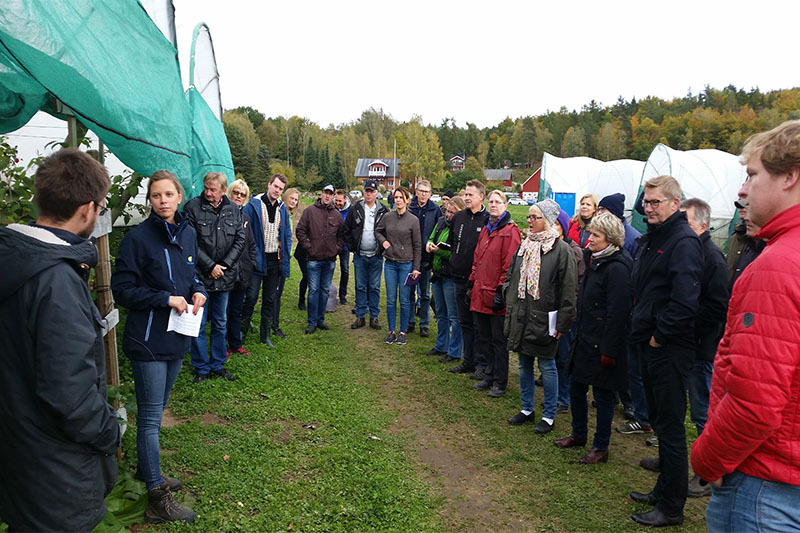 Presentations were made by researchers from Jordbruksverket and The Swedish University of Agricultural Sciences, as well as from invited experts Catherine Baroffio from Switzerland and Cesar Rodriguez-Saona from New Jersey, USA. 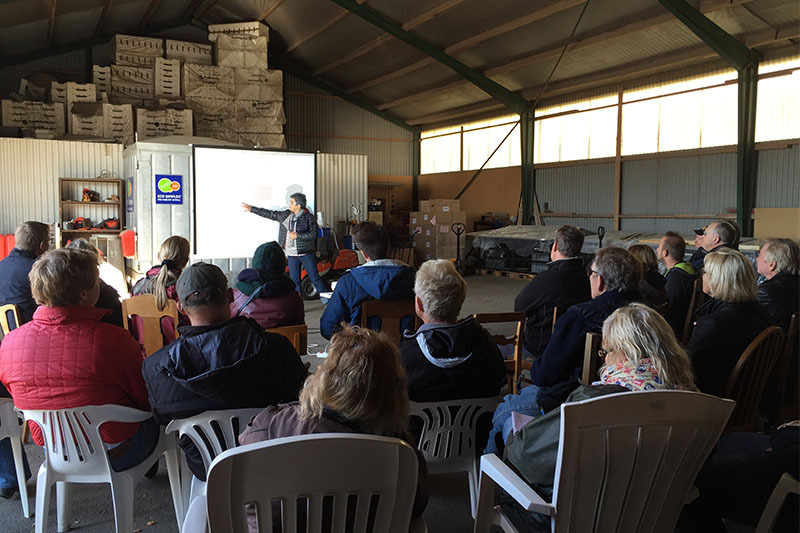 Experiences with Drosophila suzukii were discussed, along with current and future plans for monitoring and the development of control measures for this pest.